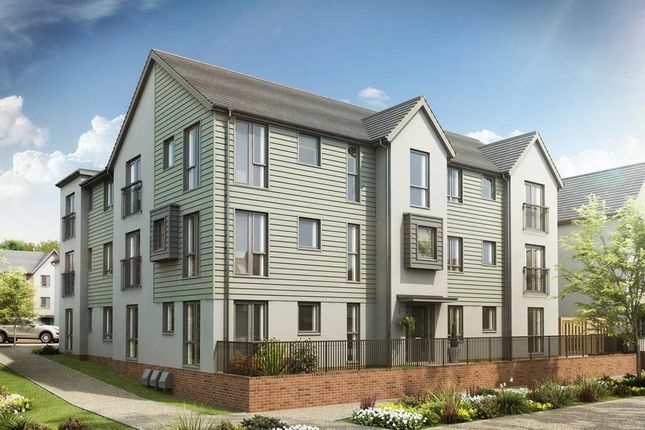 Waterside @ The Quays is a brand new development in the sought-after location of Barry. 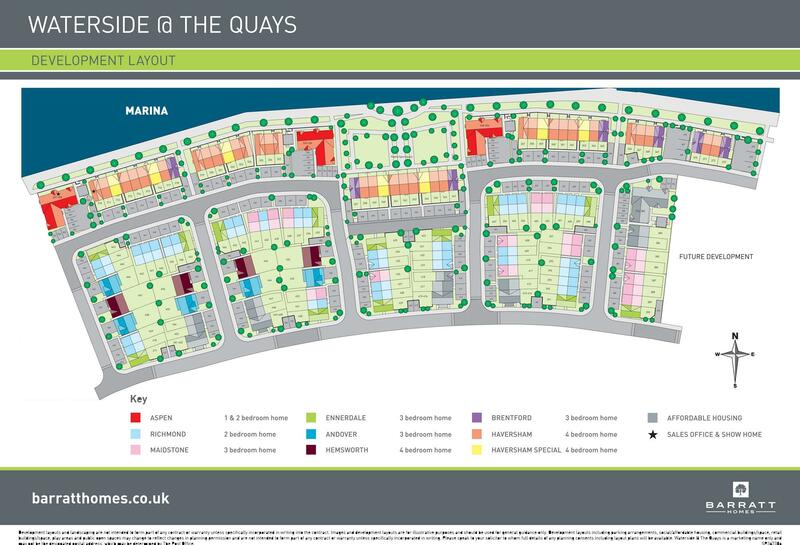 Waterside @ The Quays will offer a collection of one and two bedroom apartments and two, three and four bedroom homes. Whether you're a first time buyer or a growing family, let us help you find your new home in Barry.incentives available on selected plots, visit us to find out more. There is plenty to enjoy in Barry and its surrounding areas. Enjoy a leisurely stroll around Porthkerry Country Park, or walk for miles along the costal paths nearby. If you fancy a round of 18 holes, then visit St Andrews Major Golf Club & Driving Range 3.7 miles away. Or pop into Barry Leisure Centre if you're a fan of more strenuous activities. Education is well covered for all ages within the area. There are Welsh Medium schools nearby - Ysgol Gymraeg Sant Baruc 0.7miles and the comprehensive Ysgol Gyfun Bro Morgannwg just 1.8 miles away. St Helen's rc Junior School 1.2 miles away or Romilly Primary school only 1.3 miles away. Plenty of options for your bright, young scholars to attend. Doing the weekly shop has never been easier living at Waterside @ The Quays, there is an asda Superstore nearby. Waterfront Retail Park is just a short drive away, a number of high street stores and eateries can be found along Holton Road. Cardiff city centre is just 20 minutes away, featuring an array of department and high street stores. Barry train station is just a five minute walk away offering Arriva Trains Wales services to Cardiff, Llantwit Major and Bridgend. Waterside @ The Quays is situated on Ffordd y Mileniwm which links onto the A4055 - giving you direct access to the A4232 into Cardiff. All your health needs can be catered too within the surrounding area of Waterside @ The Quays. West Quay Medical Centre is located half a mile away from the development. Windsor Dental Care, Lloyds Pharmacy and Petherton Veterinary Clinic are all situated roughly a mile away. If you need an eye test then pop into the asda store opposite the development. Barry Hospital is just 7 minutes away. Leave the M4 at Jct 33 and follow A4232. At Culverhouse Cross jct, take A4050 into Barry. At roundabout, take first exit onto Barry Rd and turn right onto Buttrills Rd. At the roundabout, take the third exit to A4055 then take the second exit onto Gladstone Bridge. At the next roundabout take the second exit onto Ffordd y Mileniwm. Continue on this road and the development is on your right. Property descriptions and related information displayed on this page, with the exclusion of Running Costs data, are marketing materials provided by Barratt Homes - Waterside @ The Quays, and do not constitute property particulars. 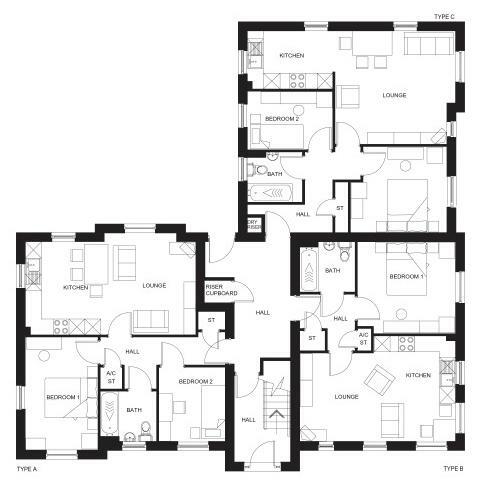 Please contact Barratt Homes - Waterside @ The Quays for full details and further information. The Running Costs data displayed on this page are provided by SmartNewHomes to give an indication of potential running costs based on various data sources. SmartNewHomes does not warrant or accept any responsibility for the accuracy or completeness of the property descriptions, related information or Running Costs data provided here.